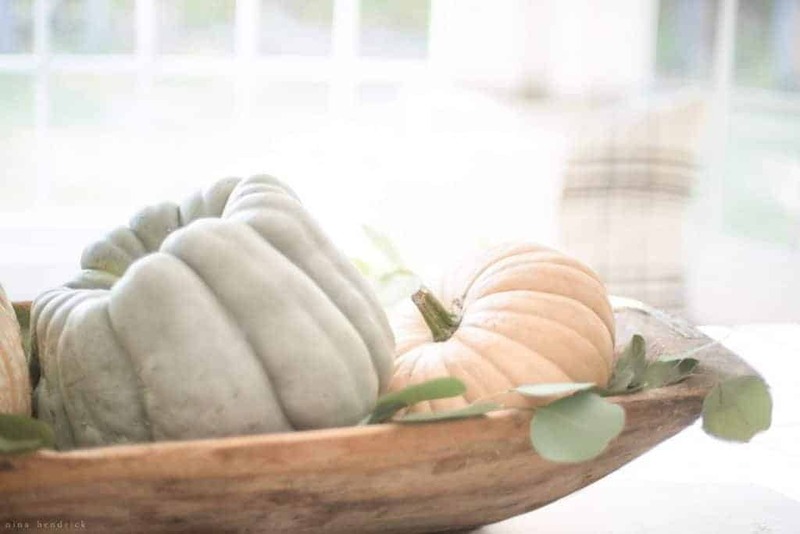 Simple Fall Decorating Ideas- Fall Into Home | Nina Hendrick Design Co. 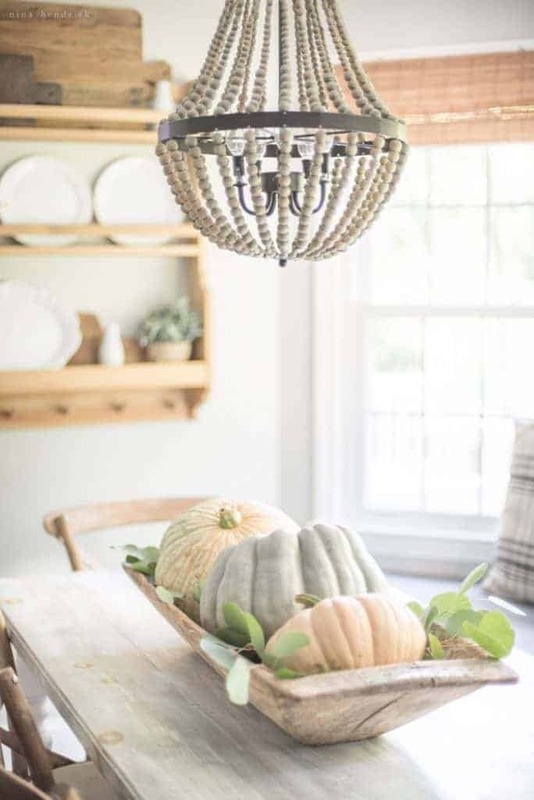 Simple Fall Decorating Ideas | This autumn home tour features easy and attainable decorating ideas for bringing simple fall touches into your home. Welcome! 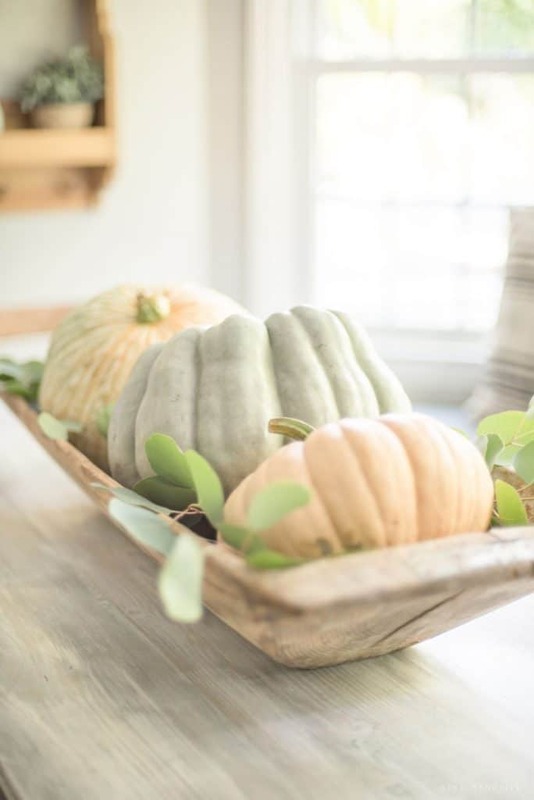 Today I am going to share some simple fall decorating ideas with you as part of the Fall Into Home Tour hosted by my dear friend Rachel of Maison de Pax! You may be swinging over from there, if not- it’s definitely worth visiting her lovely tour! Either way, I want to welcome you. 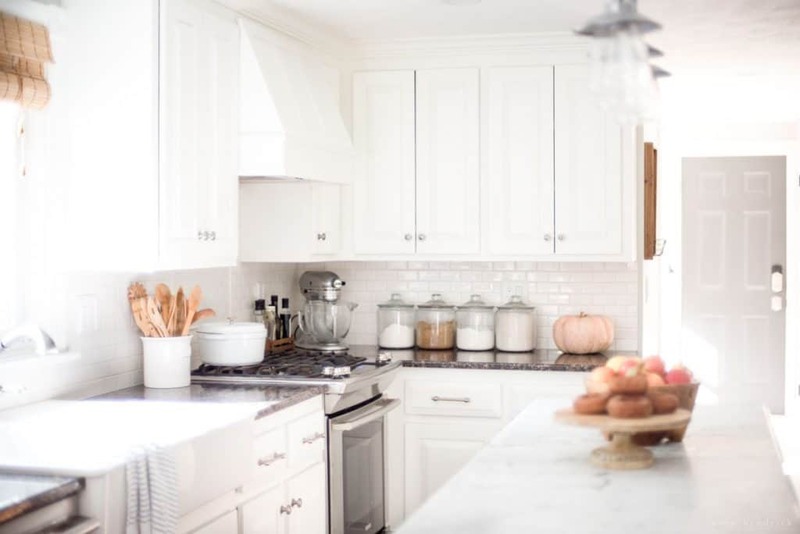 My goal for this tour was to give you some easy ways to bring autumn into your home that won’t be overwhelming or time-consuming. 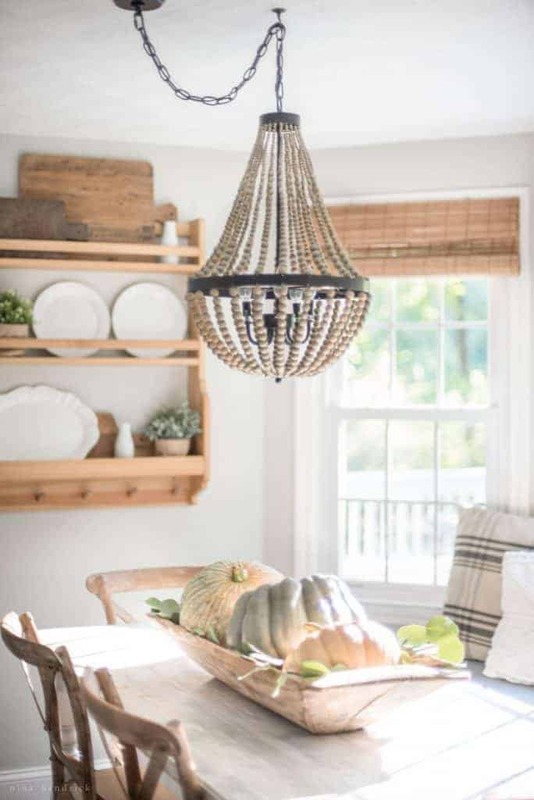 Bringing fall touches into the kitchen is always my first step. 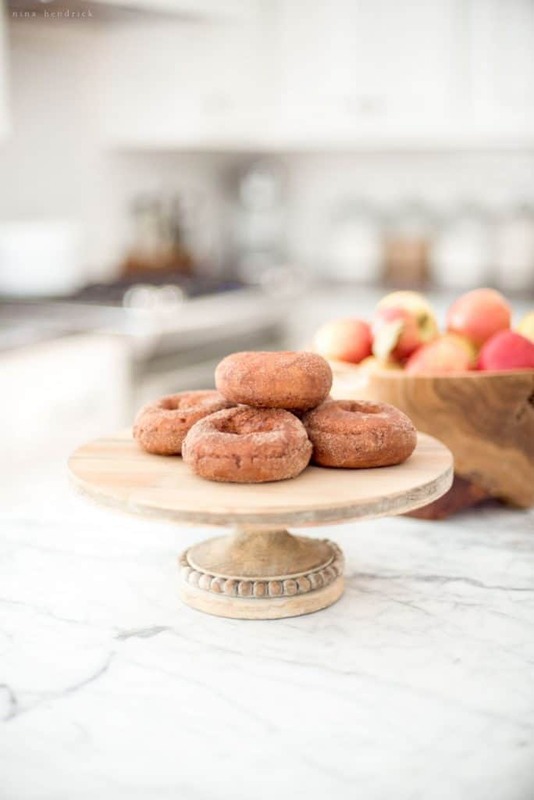 Fall to me is always the season of baking (you can see some of my favorite fall recipes here). Putting out some treats to share with guests or just our own little family is always a fun touch. 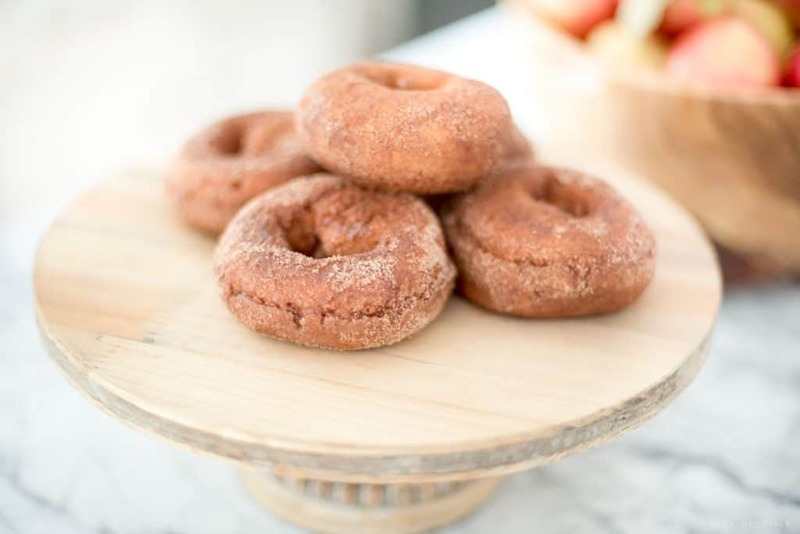 You can’t go wrong with apple cider donuts! Leaving out a bowl of apples or other seasonal fruit is another favorite of mine. 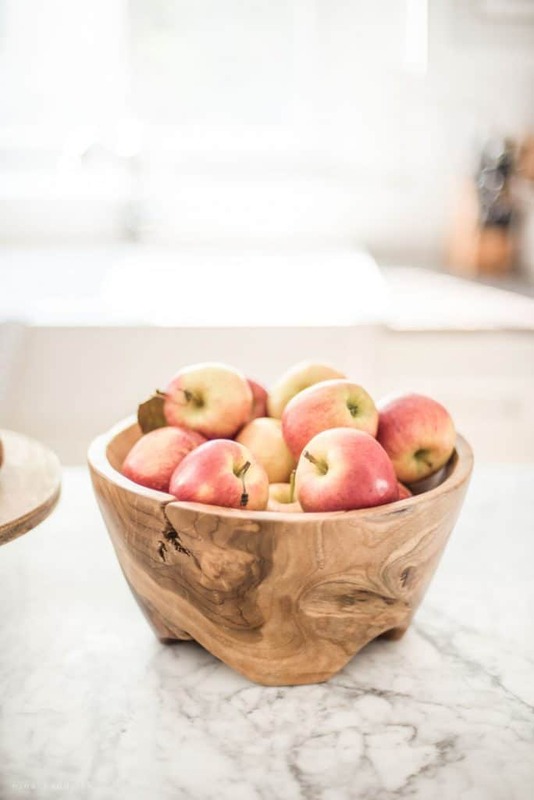 The contrast of the wooden bowl and the crisp apples is aesthetically beautiful- but it’s also practical for the kids to grab one as a snack (as a better alternative to the cider donuts!) or if I am baking. 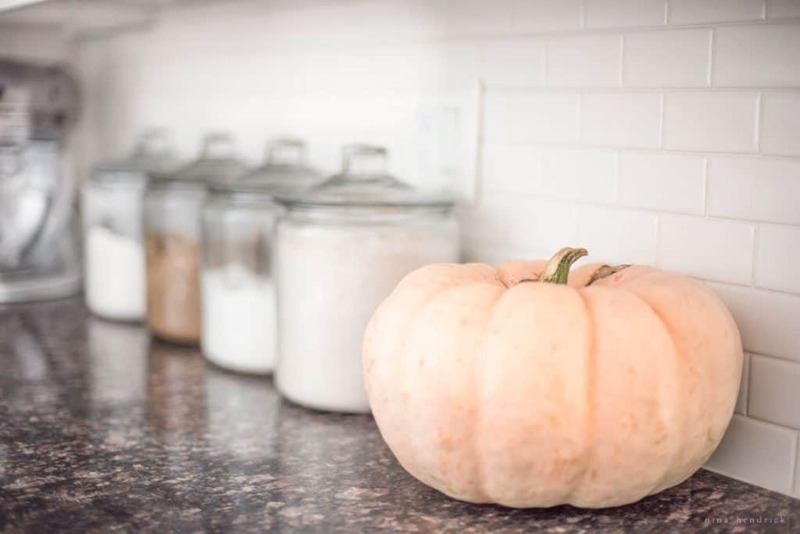 An heirloom pumpkin from the grocery store filled a lonely corner on the counter. 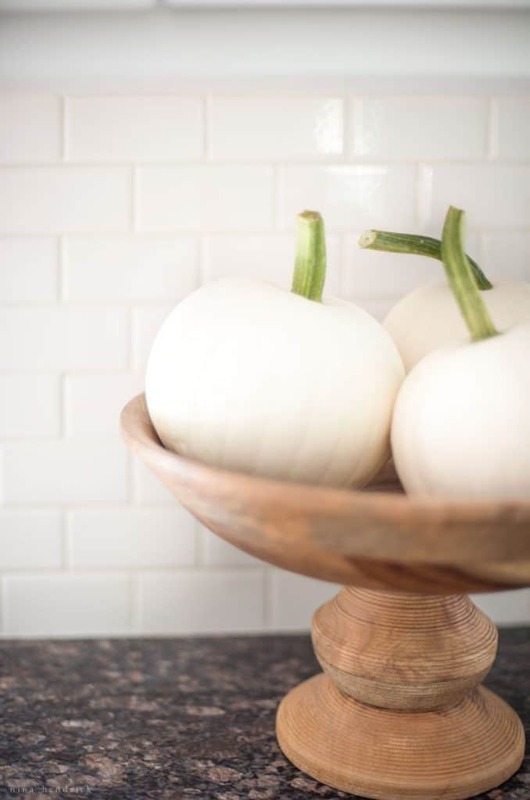 I filled a wooden bowl with the kids’ three little white pumpkins. 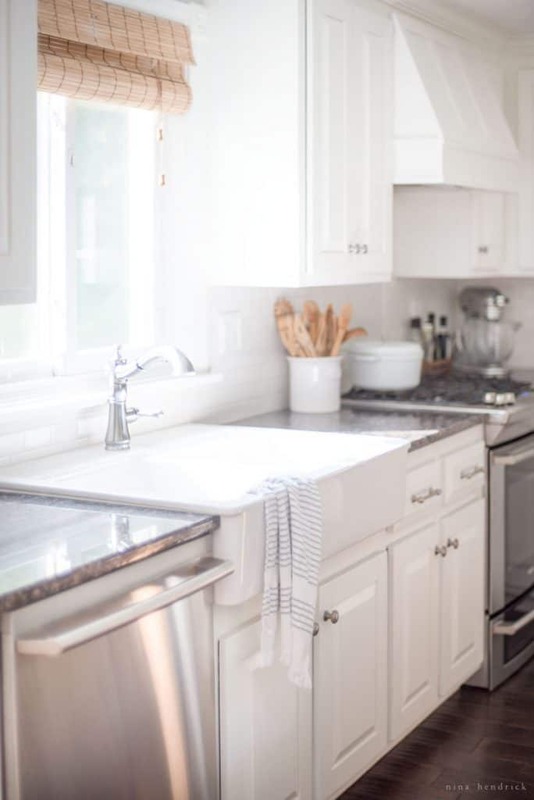 Such a sweet and easy decor idea! Do you spy the photobomb? 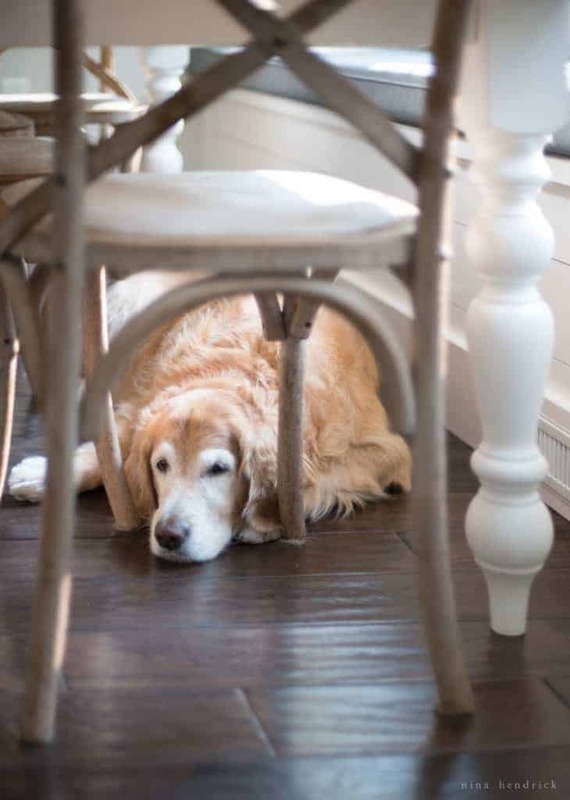 Lucy is in so many of my photos if you go back through the blog! 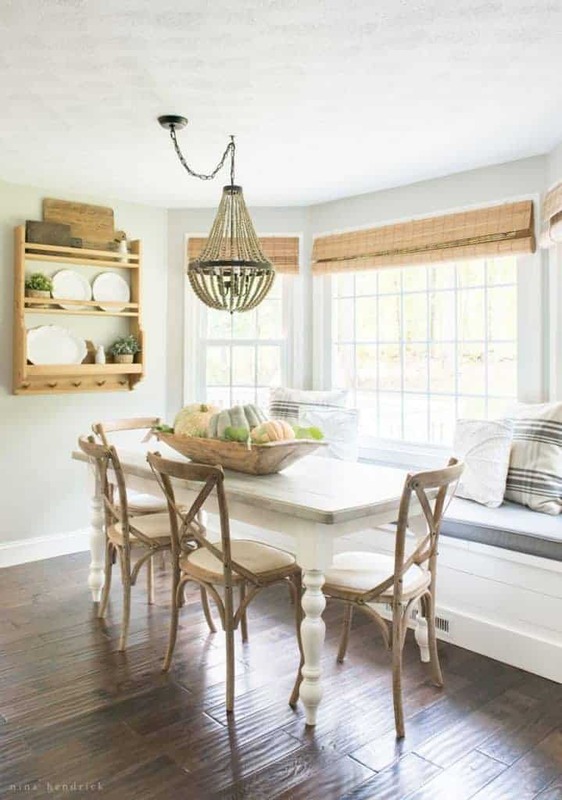 The breakfast nook is our most frequently used space, and as a result, I don’t want to decorate too heavily here. 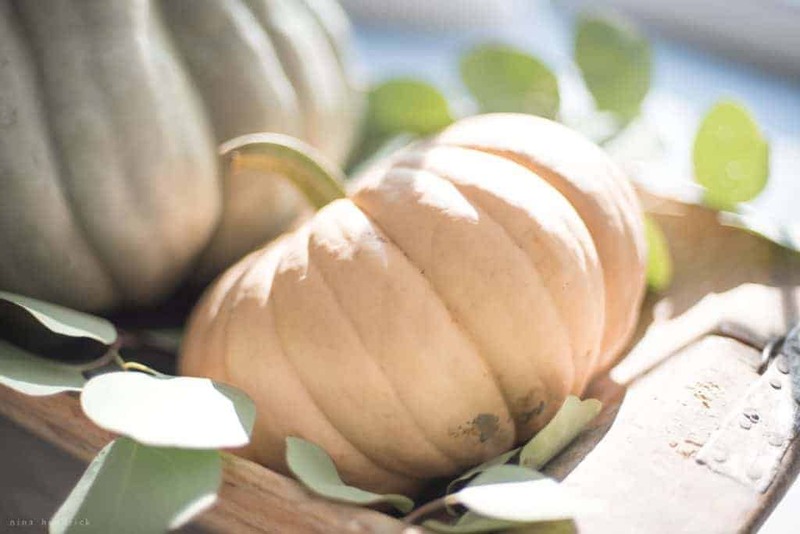 The wooden dough bowl filled with some greenery and heirloom pumpkins can be moved easily for homework or meal times. I loved the dappled pattern on the pumpkins! These were quite inexpensive at my local grocery store. The eucalyptus was from Trader Joe’s (my favorite place for inexpensive but lovely flowers). I hope you enjoyed these simple ideas! Please make sure to stop by A Burst of Beautiful next to visit Alicia’s beautiful home! It’s beautiful, Nina! 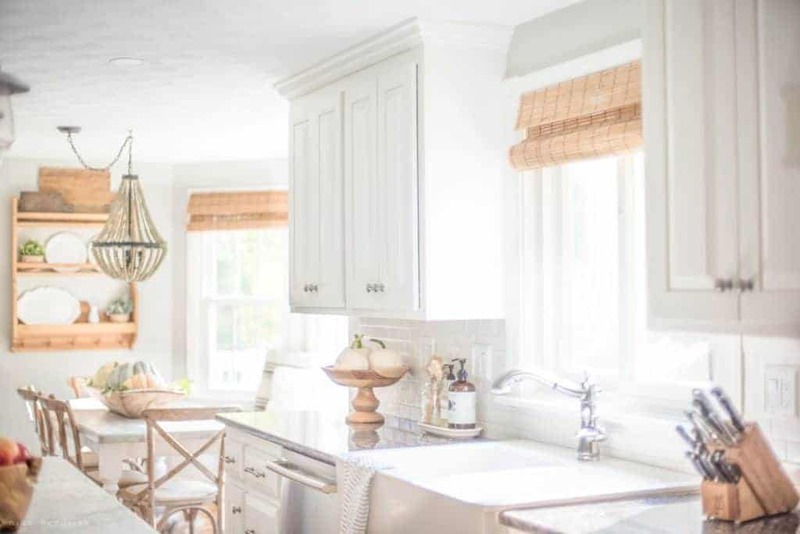 I love all the soft neutral colors and light! Thanks for sharing on the tour. I absolutely love your photography Nina. I really see subtle improvements to your images since your trip to france and doing Heather’s course. 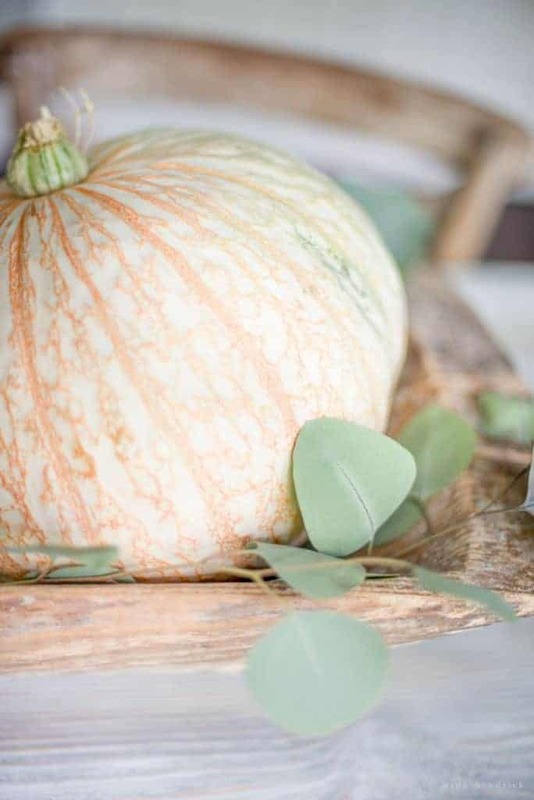 Your close up images and such are to die for and I love how soft the colors of fall are in your home! Just Beautiful!! 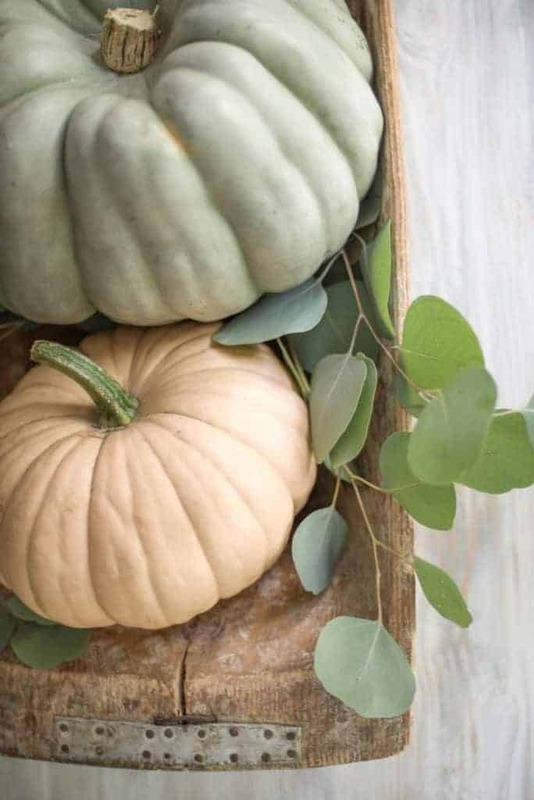 I love your style (simplicity, real pumpkins, and colors)! 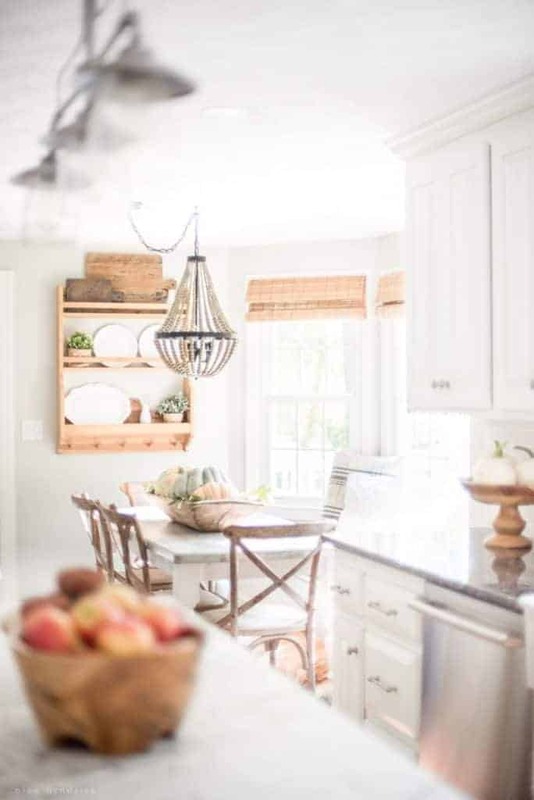 Isn’t it amazing that you can create this space with little money and use the fruit that you are displaying! Tell me about your dough bowl. It appears to be old. History of this piece? Any suggestions WHERE I could buy one of this size? Thanks for sharing! Your tour is so soft and welcoming. I LOVE it. So inviting. So beautiful, Nina! I love all your fall home tours. Your home looks so cozy. Love the minimalist design. 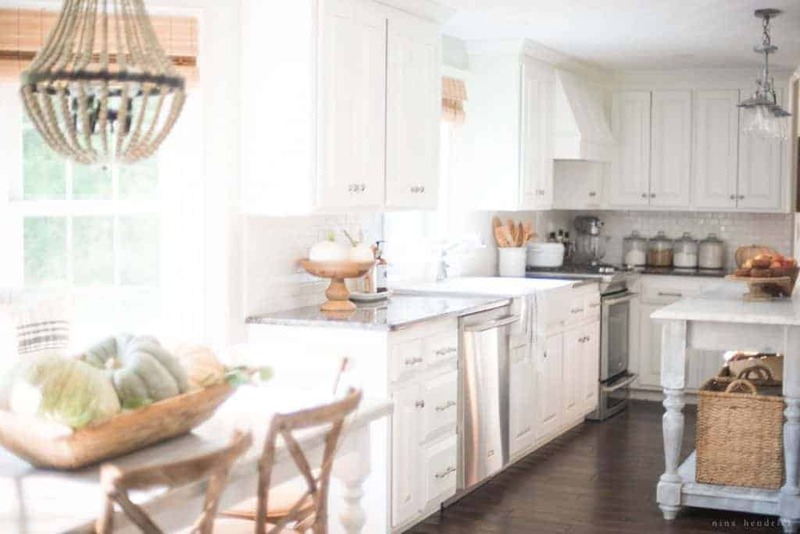 The color of white with touch of neutrals are soothing to the eyes. Thanks for sharing! Love the ideas here. Your wood decor accents are lovely. Sometimes the simple things are the best. Enjoyed seeing Lucy. She’s adorable. Gorgeous Nina….love your home and soft style and fun touring with you this week!